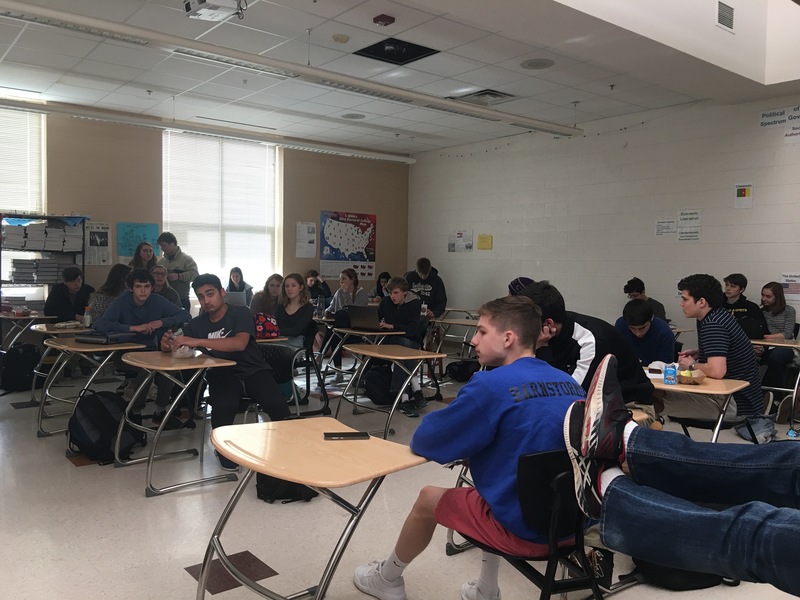 This Thursday, February 1, starting at A lunch, Debate Club met again to discuss the issue of taxes, and primarily how the recent GOP tax bill will either benefit or hurt Americans. Opponents of the bill brought up points such as how, in contrast to what President Donald Trump has promised, the bill won’t help the middle and working classes in the long term. Others mentioned the part of the bill that allows drilling for natural resources in Alaska, and the worrying aspect that this has little to do with taxes. Further still was the issue around how the bill was passed. A big aspect of the debate was whether the bill affects different political parties, social classes, or all Americans in general. According to some, the majority of citizens wouldn’t be receiving tax cuts within the next decade. “This bill was targeted specifically at democratic communities, and I think it’s important that when senators and representatives are drafting bills, they should take into consideration the needs of all the American people,” said Paloma Baca, CHS junior and opponent of the bill. The GOP tax bill, which was pushed by Senator Mitch McConnell and passed through the Senate and the House, is trying to promote economic growth. The bill will make long term cuts to corporate income taxes, and short term cuts to individual taxes. Main components of the bill also include only four tax brackets instead of the previous seven, while the amount of income that would be taxed will decrease. Proponents of the bill wanted to focus on the effects of the bill rather than how it was passed. Many cited the idea of trickle down economics: decreasing taxation for large companies will allow them to stimulate the economy and effectively create jobs, which therefore increases spending in the community. They maintained that the bill was trying to promote prosperity within the economy. “I thought the debate went well; it was a lot more civilized this time,” said Andrew Stewart, junior. Debate Club leader Jonah Perrin, senior, has made some changes to make the debates run more smoothly. Whereas before participants would raise their hands and jump in when called on, Perrin now intends to make a list of everyone who wants to bring up a point at the start of the debate. Those people will get the chance to speak, and people who want to rebut statements can raise their hands as well during the argument. Perrin aims to make the club more formal in order to have a more reasonable flow of debate, and stay on topic. Future debates will be held in room E216, Thursdays beginning at A lunch, unless otherwise posted. Feel free to contact Jonah Perrin to join the email list for the club, or about debate topics for coming meetings.